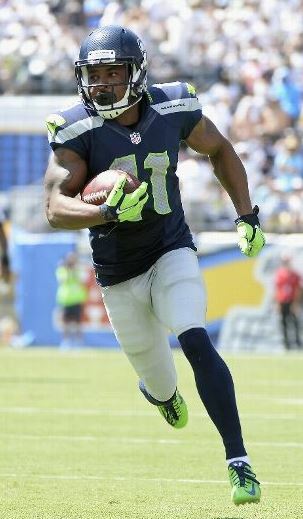 Are Hawks using Harvin to best effect? After the Seahawks unveiled their new, improved (read: healthy) Percy Harvin in the season opener, everyone went gaga over the way the mercurial playmaker was used. In two games since then, though, the Seattle offense has used Harvin more as a decoy than anything, prompting the question: Are Carroll and offensive coordinator Darrell Bevell using Harvin to best effect? Russell Wilson said he was “almost hoping” Peyton Manning would rally the Denver Broncos to tie the game Sunday. That way Wilson could get the ball again. It’s hard to blame Wilson for wanting another chance after the way the second half went. As bad as the defensive meltdown was on Denver’s final possession, the Seattle offense really carried more responsibility for letting a two-touchdown lead slip away. And that really was just part of a trend over the first three games in which the offense has gone from scoring machine in the first half to almost pointless in the second. See what Pete Carroll said about the win over Denver on his way out the door for the bye week. 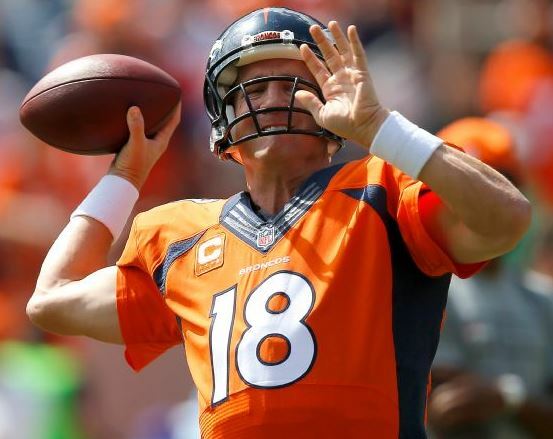 Sean Tomlinson of Bleacher Report dissects Seattle’s dominance of Peyton Manning. Of course, there was one drive that Manning dominated, and Doug Farrar of SI.com breaks that down in more detail. 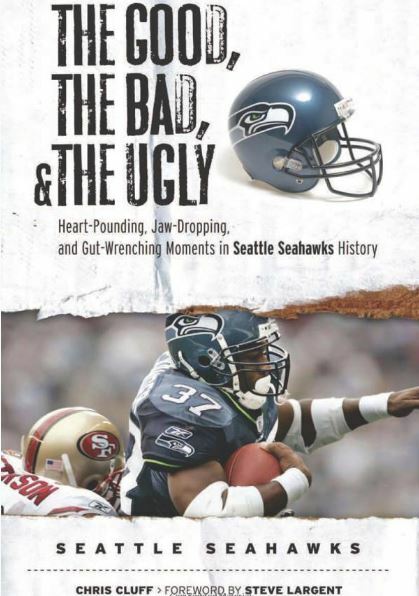 Bob Condotta of The Seattle Times rates Seattle’s old AFC West rivalries. After Chris Harris said Russell Wilson — a third-round pick in 2012 — is better than Andrew Luck, the No. 1 pick overall that year, plenty of folks have chimed in. Here’s what Ben Peterson of Field Gulls says. 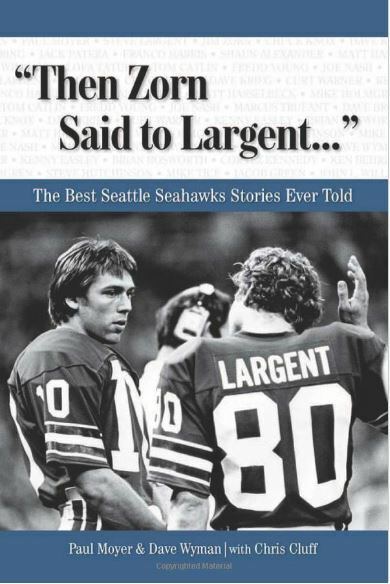 Jerry Brewer of The Seattle Times addresses the idea that Wilson is the NFL’s best quarterback. Wilson is the highest-rated QB in a league that is setting records for passer rating, per Clare Farnsworth. And Mike Tanier of Bleacher Report goes further with a historical look at major QB draft classes. 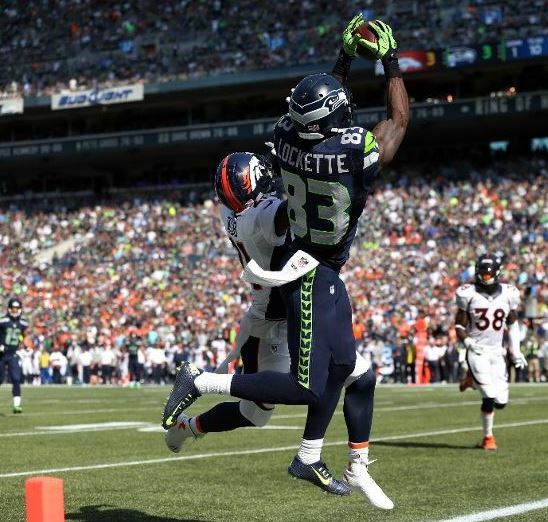 The Seahawks have been raving about Ricardo Lockette all year, and now everyone is seeing why. Back in minicamps, offensive coordinator Darrell Bevell often tossed Lockette’s name out as someone the coaches were excited about — particularly because of his sub-4.3 speed. That’s why it was easy to see the fourth-year player making the team again despite a huge logjam at wide receiver. As the fourth or even fifth receiver, he doesn’t get many offensive opportunities — yet he has caught touchdown passes in both victories this season. Add to that his standout play on special teams and you have the kind of player the Seahawks love — fast and versatile. He showed it all in the win over Denver on Sunday. Russell Wilson says he is “just enjoying the journey, enjoying learning” as he strives to become one of the best quarterbacks ever. Peyton Manning talks about the tying drive and the lesson he takes from this loss to Seattle. Brian Nemhauser offers his impressions of the Seahawks’ win over Denver, with a great stat comparison of the Super Bowl and this game. Danny O’Neil of 710 ESPN rips the Denver homer who complained about the overtime format. You tell him, Danny! Looking ahead to the Washington Redskins in two weeks, it appears they will be without their No. 1 trash-talker, DeAngelo Hall, but they also have DeSean Jackson and some cheap-shot artists, so they are good to go. Russell Wilson is kind of like Superman — mild-mannered pocket quarterback on your typical offensive series, but man of steel nerves and determination when the game is on the line. 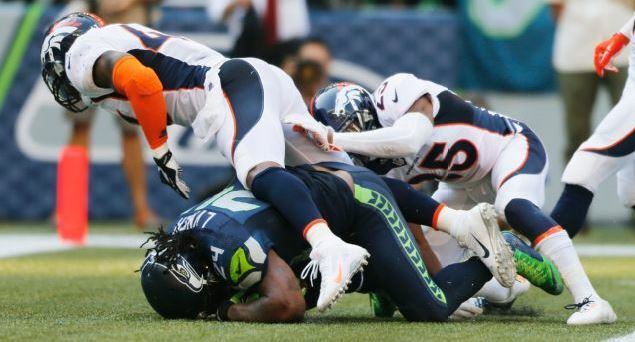 Wilson became the latter Sunday, leading the Seahawks 80 yards for the winning touchdown in their 26-20 overtime victory over the Denver Broncos. Wilson is such a team player that he often subverts his physical skills in favor of getting the ball to his teammates. But make no mistake: He can carry a team when he needs to. And he needed to Sunday. After Peyton Manning somehow led the Broncos 80 yards (with no timeouts) to the tying touchdown and two-point conversion in the final minute, Wilson coolly returned the favor in overtime. Answers to the question: Where was Lynch? 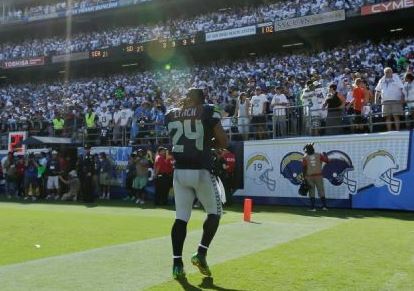 A lot of people had questions about Marshawn Lynch’s lack of participation in the game Sunday in San Diego. Why didn’t he get the ball more? Why wasn’t he in on the Seahawks’ drive at the end of the first half? Why was he walking off the field with a minute left? Having beaten Aaron Rodgers and the Green Bay Packers and lost to Philip Rivers and the San Diego Chargers, the Hawks now prepare to host Peyton Manning and the Denver Broncos in a Super Bowl rematch. 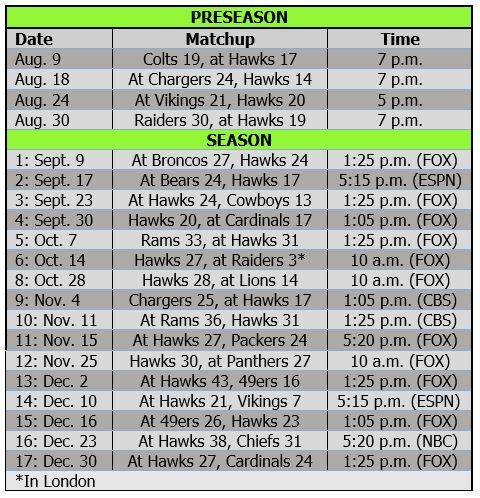 And Carroll cracked that they ought to add Tom Brady and the New England Patriots during the Seahawks’ Week 4 bye. “It’s as hard as it can get,” Carroll said, not meaning that in a bad way. “It’s great for us. It’s going to help us during the course of the season. You can’t get any better challenges than these guys throwing the football. Aaron is phenomenal. And look what we just saw (with Rivers). And here comes Peyton. 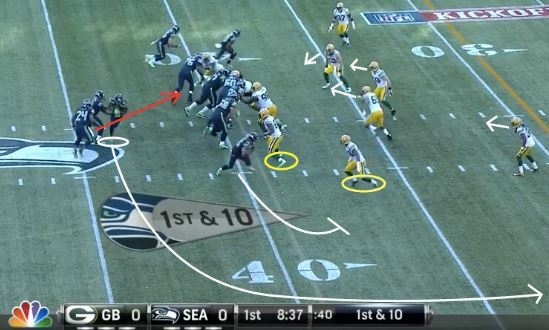 Field Gulls breakdown of the jet sweep the Seahawks ran against Green Bay. 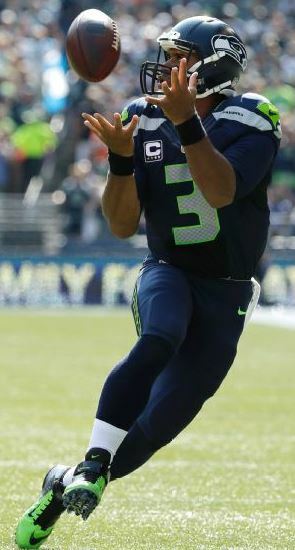 In 2012, the Seahawks added a dynamic player with unique traits and eventually found a way to take advantage of them: Rookie quarterback Russell Wilson lit up the league with the zone read option in the last few weeks of the season. This year, the Hawks have another new player with stellar abilities, and they already know how to use him. OK, so Percy Harvin isn’t really new — he was acquired last year — but a hip injury limited him to just a few plays all season so this is really the first time he has been healthy and used to full effect. He showed off his skills impressively in the season-opening 36-16 win over Green Bay.